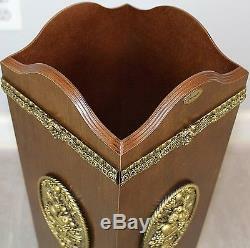 Classic Umbrella Stand Wood Holder Vintage Accent Storage Hall Entryway Rack. A functional yet tasteful must-have for every entryway, this Classic Umbrella Stand will keep all your umbrellas and walking canes handy when you need them. Size: 8"W x 8"D x 24H. A pretty accent for your home entry. 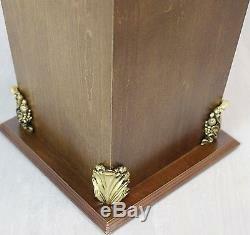 Made of solid wood with a walnut finish. Useful for keeping all your umbrellas in place. 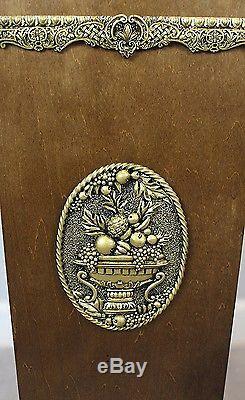 Gold Plaque features fruit basket design. Item Dimensions: 8" x 8" x 24. Item weight: 7.8 pounds. 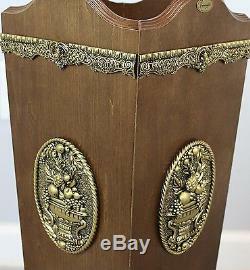 The item "Classic Umbrella Stand Wood Holder Vintage Accent Storage Hall Entryway Rack" is in sale since Monday, April 17, 2017. This item is in the category "Home & Garden\Household Supplies & Cleaning\Home Organization\Coat & Hat Racks". The seller is "velaoviva03" and is located in Miami, Florida. This item can be shipped to United States.